As an entrepreneur, you always have plenty of tasks on your plate like department meetings, investors to pitch, numbers to crunch, and fulfill orders. While you make sense with all of these, you already have ‘n’ number of emails unread with many of them flagged ‘Urgent.’ While this scenario seems tedious, it is a true story for every other entrepreneur managing their business and lives simultaneously. With so much continuously going on at your workspace, there comes a time when your productivity takes a toll. To resolve this constant ambiguity of task and time management, Enterprise Resource Planning (ERP) comes to the rescue. An ERP software such as Sage 100 or 300 ERP integrates all your business domains in one single window to make sense and understand bottlenecks of growth. Areas such as Human Resource, Marketing, Finance, Sales and Operations are integrated into an ERP to save time and accelerate the decision-making process. Let’s see six signs your startup should get an ERP system. Don’t let the ‘Enterprise’ in ERP fool you. An ERP basically integrates multiple business domains in one, and in the digital age, this could be helpful for all kinds of business sizes, from a solopreneur to a fortune 500 company. Consolidating multiple business processes in one single dashboard will help you make strategic decisions faster and have the numbers on your fingertips. Financial reconciliations at the end of the month v/s end of the fiscal year are a grueling task. Ask the same to your accountant once you hand over all the invoices to him for audit and filing. Disarranged data is no less than a nightmare for your organization. Sales forecasts, Income & Expenditure, Remunerations, SKU and Vendor Management are few of the metrics which you as an entrepreneur should know on the tip of your fingers. If the forecasts are more of guesswork with low accuracy, its high time to consider an ERP system and get hold of your finances. As finance and cash flow management is the lifeline of your business, if the pulse is not right, business health with fall drastically. The customer is God! It’s undoubtedly a well-thought saying. No matter in which industry you operate in, user experience and feedbacks would define your success and failure. Indicators like slow/flat sales growth and increased number of user complaints signal that your business is not meeting user expectations, and there might be something not right in your business operations. Rather than auditing all the functions of your business, an ERP translates all business domains in quick and detailed snapshots, which can quickly help you to stream down on operational efficiency and fix the missing link between business strategy and consumer satisfaction. 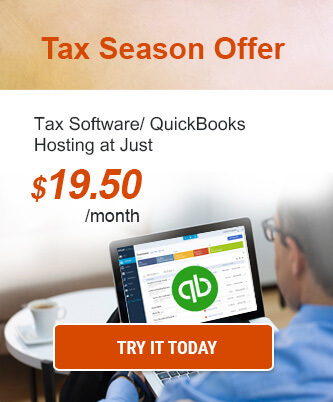 Are you already using multiple software for automation, invoicing, sales, etc.? When various front and back end services work simultaneously in the same software ecosystem, it can cause trouble for the overall business. By choosing multiple third-party vendors, your business comes under the risk of various data and credentials management. 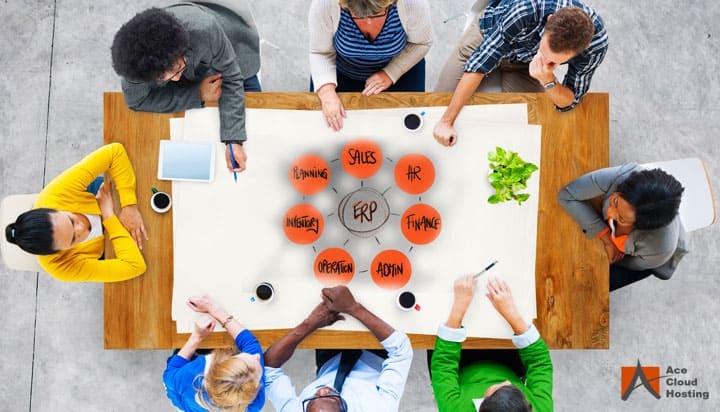 A cloud-based ERP is the best solution in such scenario, as it interlinks all software in one connected database. By connecting all your software to one single ERP, all of the processes can be streamlined so systematically that one single entry of salary in your accounting system can easily manage multiple entries back and forth in payroll management to dropping an automated mail in your employee’s inbox. Are you getting stuck in email threads for small requirements from various departments? For organizations relying on silos, and spreadsheets, it can be a nightmare to accumulate vast amounts of data in minutes. Most of the working hours are wasted in going through long threads, reconciliations and making sense of distributed data. An ERP provides accumulation of the data in one single platform, which has multiple roles like Admin, Editor or Guest with a different set of permissions. You can have any data on the instantly, and the best thing is that all of the information is on the go. As an organization, your aim should be operational efficiency and consumer satisfaction. But there comes a time when you are so engrossed in perfection that you start to focus on hiring more headcount compared to optimizing the operations. For example, details of consumer orders, shipping details, and payment status should be accessible on your website only, rather than having a consumer representative answering all these grueling tasks. Such knowledge base of consumers spread across various departments can easily be stored in an ERP and can be accessible to the user on your website’s dashboard. That will save multiple man hours and a reduction in recurring costs. This will also impact overall consumer satisfaction. Cloud ERP Is the Way to Go! An ERP system is the lifeline of any business, especially for startups where the resources are limited, and the budget is less. However, hosting the ERP system on cloud further enhances the business process for startups and save costs. The cloud environment enables the startups to be hardware-independent as the process is hosted on remote cloud servers. Furthermore, all the IT-related issues are handed by the cloud service providers eliminating the hassles of IT operations. The cloud providers such as Ace Cloud Hosting offer flexible pricing plans under which you pay only for the resources you use and for the time period you use it. Moreover, the process can be scaled anytime as per your requirement which saves you the cost of hardware upgrade and replacement. If you are up for an upgrade to an ERP system, choose to host it on the cloud to get additional benefits and enhanced performance. It sounds like you are ready for an ERP Implementation, where do you start? It starts with mapping down all your business functions and understanding their velocity in your business. Sales might be an everyday action for you, but payroll can be monthly. Secondly, what relationships do all these functions have with each other? Consumer ratings and reviews can be helpful within your sector to streamline some of the options. Finding the key partner in your ERP implementation is very necessary as they will define the stepping stone of your digital transformation and success. The myth that ERP is only for enterprises is making a lot of startups reluctant in opting the same. Its high time that startups open their eyes and see the benefits that an ERP system offers to business. 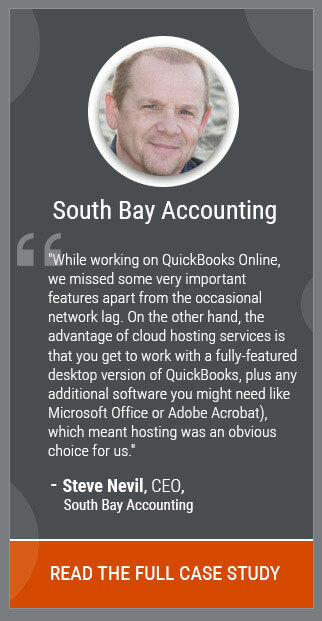 “Software havoc” was one of the reasons my business almost crashed. Using multiple software create a ruckus for the business, and you always have the risk of crashing. Having a unique platform providing all the information about my business is what had me sold for ERP.